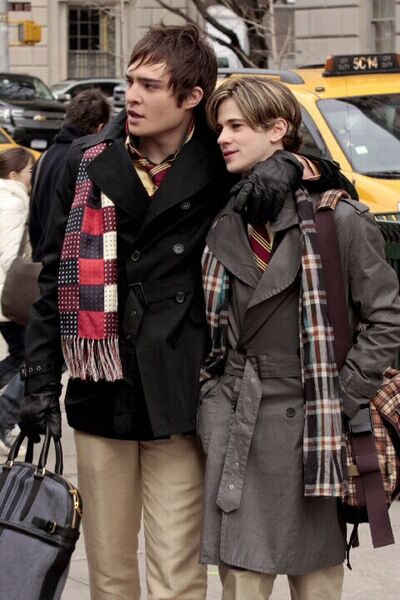 While we love the girls of Gossip Girl for their impeccable and unique style, there is also a lot we can learn from the guys. 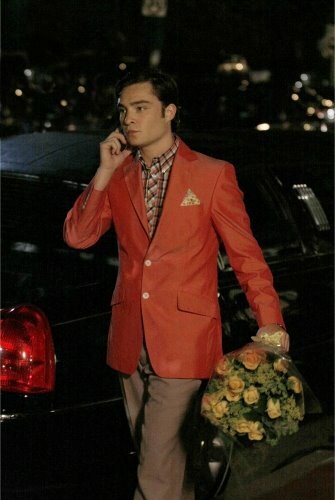 Today, I want to focus on one of the most stylish guys on Gossip Girl, Chuck Bass, and what we can learn from his style. Chuck’s style is unique to say the least. You will never find him in jeans or a t-shirt (unless he’s trying to be ironic), and his ensembles are completely out of the box. Who else would wear a purple jumper with yellow trousers? But the most important element of Chuck’s style is the way everything is pulled together. 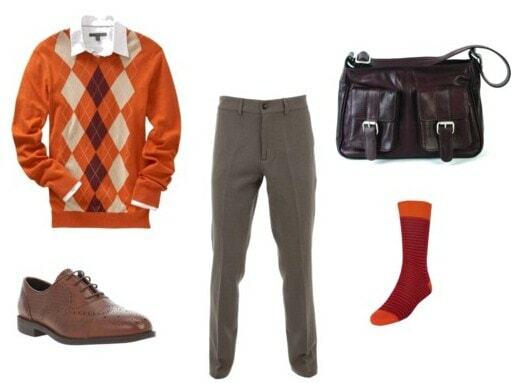 Like his personality, everything he wears is cleverly calculated, right down to his socks. 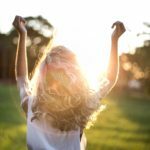 Here are 4 basic fashion rules that we can learn from Chuck and ideas for girls and guys on how to interpret these rules. 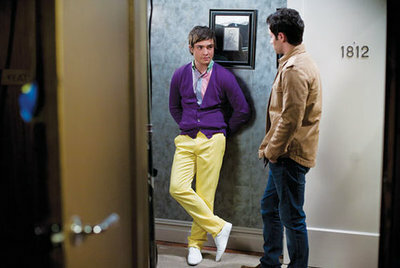 Bright colors are a huge part of Chuck’s style, and he often wears them in unexpected combinations. I love the yellow and purple combo above – it really shouldn’t work but it completely does. So to channel Mr. Bass, forget the rules – mix red and green, pink and red, and slightly different shades of the same color. Then rock your look with confidence. Chuck’s style strikes a balance between matchy-matchy and completely un-coordinated. I definitely think he matches his socks in with his outfit, even if you barely see them! I love the smart, androgynous trousers in the girl’s outfit, paired with the fun shirt and cardigan. The guy’s outfit is simple but has to be worn with great fitting trousers and tons of confidence. This is for the guy that wants to look cool without following the crowd. 2. Chinos are the new jeans. We already know that skinny cargo pants are the next big thing, but their slightly tamer cousins – beige chinos – literally go with everything! They are as universally wearable as jeans but seem much classier and dressier. Although they may be associated with the summer months, as Chuck shows us, you can wear them all year round. I am in love with the girls’ outfit above – I can’t get enough of its simple androgynous feel – and it has all the elements of chuck! 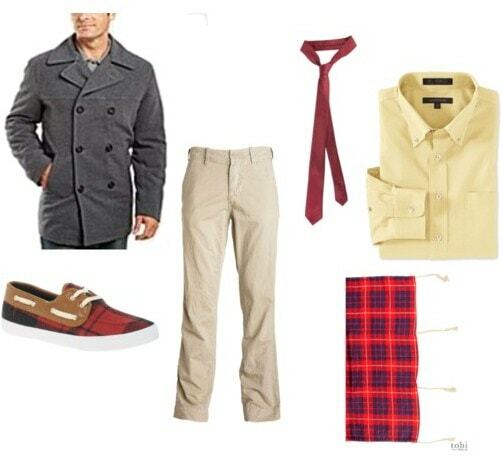 This is a really wearable, preppy look- very New England. 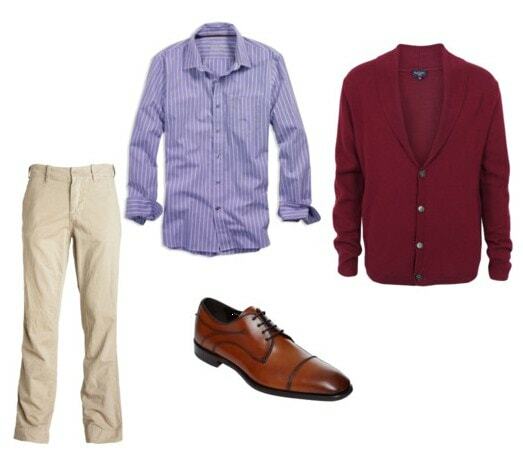 The guys’ outfit is also super-simple – I tried to dress the chinos in the same way you would wear jeans by including a simple shirt and cardigan combo. But the gorgeous leather shoes give it a touch of sophistication. 3. Smart tailoring is essential. Smart tailoring is what Chuck does best: He never looks more comfortable than when he is in a suit, complete with bow tie and waistcoat. His secret? Everything is perfectly fitted. So get his look with classic pieces that fit well, or get friendly with your local tailor or seamstress to have your favorite pieces made-to-fit. The girls’ outfit is perfect for daytime. I love the look of tailored shorts – they work with ankle socks or tights for winter. 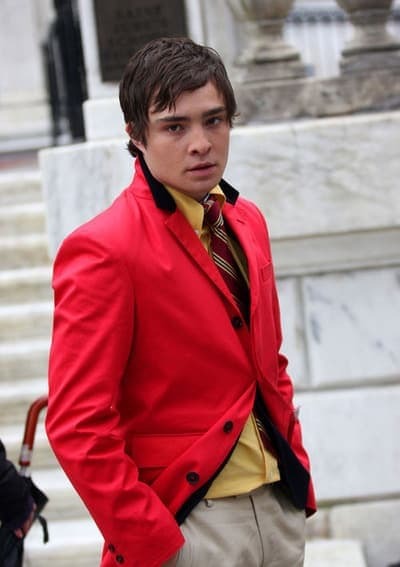 The red blazer adds an element of fun, but is still sharp and bright – Chuck would definitely approve. The guys’ outfit channels Chuck’s love of tailoring: A gorgeous grey suit looks great paired with a fun tie and a pastel shirt. Chuck is often seen in lilac or pink shirts, and nearly always chooses grey over black when it comes to suits. This look is perfect if you have something fancy to attend. 4. Don’t forget a fabulous coat. Chuck is fantastic at layering, and understands the power of a great coat. After all, come winter, if you have a gorgeous coat on, it doesn’t even matter what you have on underneath! He loves belted styles, which are flattering on both girls and guys. In addition, a belted trench is perfect for fall in New York. Both the outfits above are quite simple, focusing on the standout coats. The girls’ outfit is wearable but smart – I really wanted to try out Chuck’s strategy of mixing red and pink, plus skinny black trousers and a classic trench are wardrobe staples. 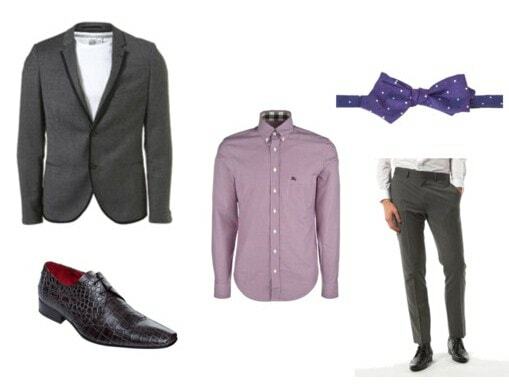 The guys’ outfit is for a guy who’s ready to take a style risk: A pale shirt, chinos, boat shoes and a patterned scarf all combine for a look that’s very Chuck. Bass Enterprises will be calling you up any day now! Are you inspired by Chuck’s style? 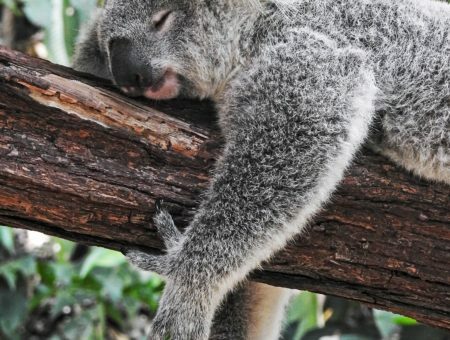 Guys- what do you think of this post? 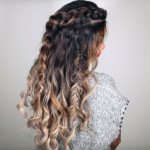 Will you be trying out any of these styles? 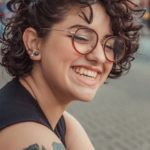 Girls – do you think you’d try these looks? Let me know in the comments!